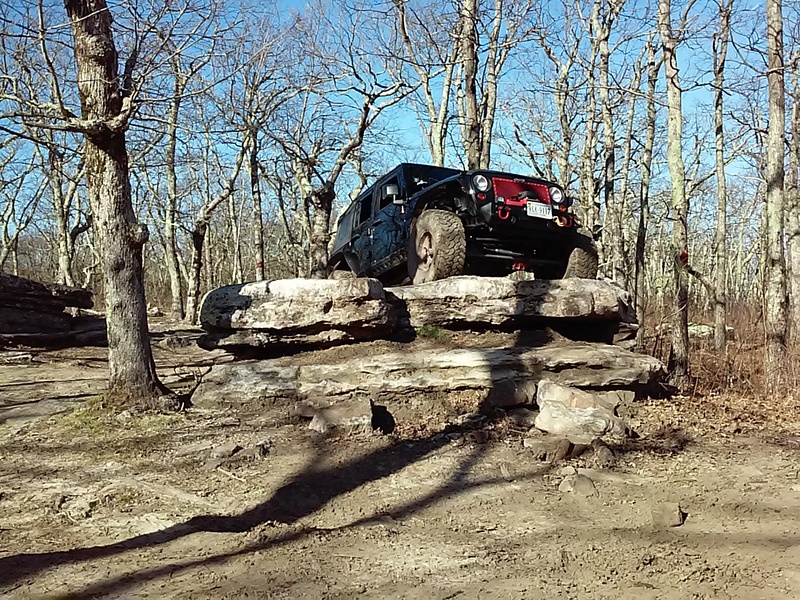 Potts Mountain Jeep Trail is one of very few places, if not the only public place, in Virginia built specifically for off-roading. 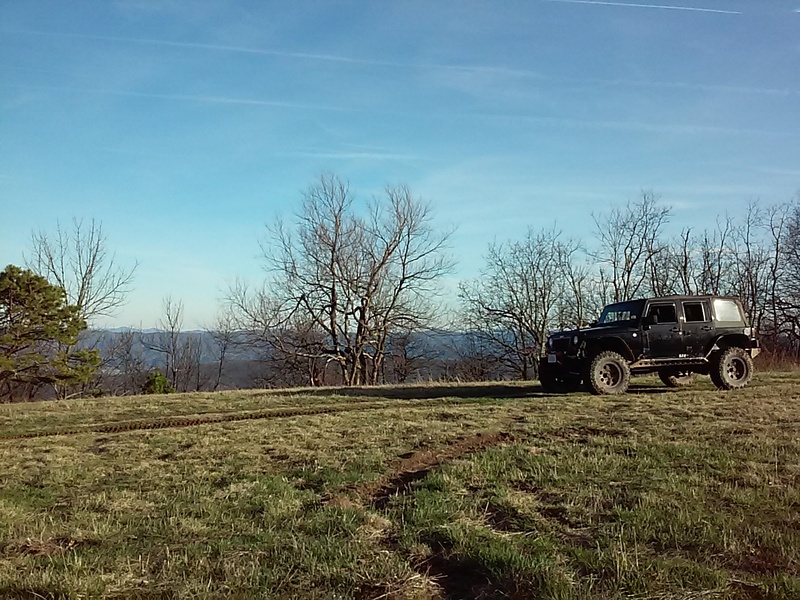 Difficult at best, Potts Mountain Jeep Trail is not for stock four wheel drive vehicles. Numerous obstacles fill the trail and many obstacle bypasses offer only a slightly easier route. 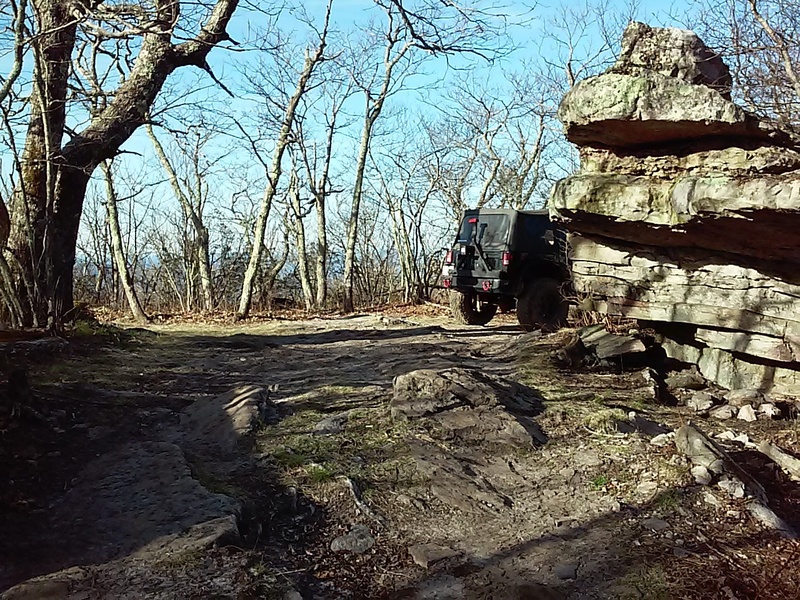 Located within the Jefferson and George Washington National Forest, the Potts Mountain Jeep Trail is remote and surrounded by rugged wilderness. The Barbours Creek Wilderness Area borders most of the trail to the east. 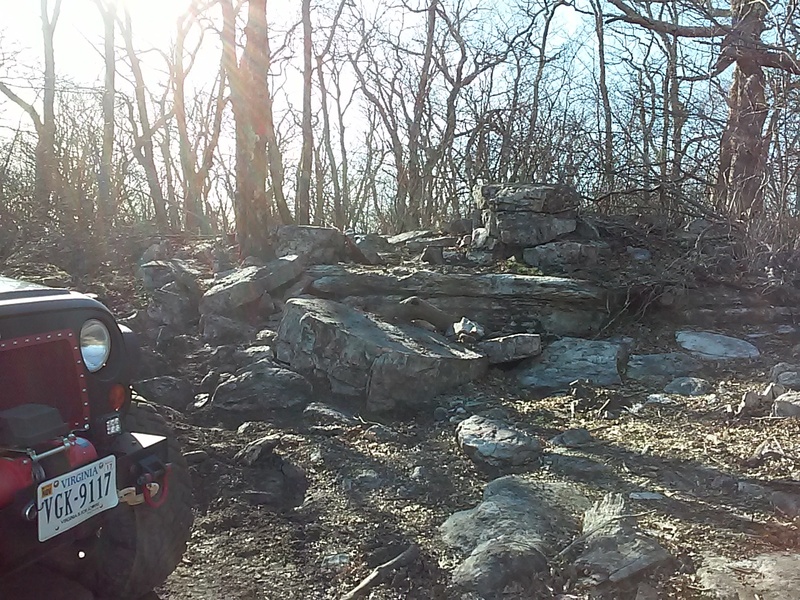 Due to the trail's remote location, it is not recommended to travel alone. 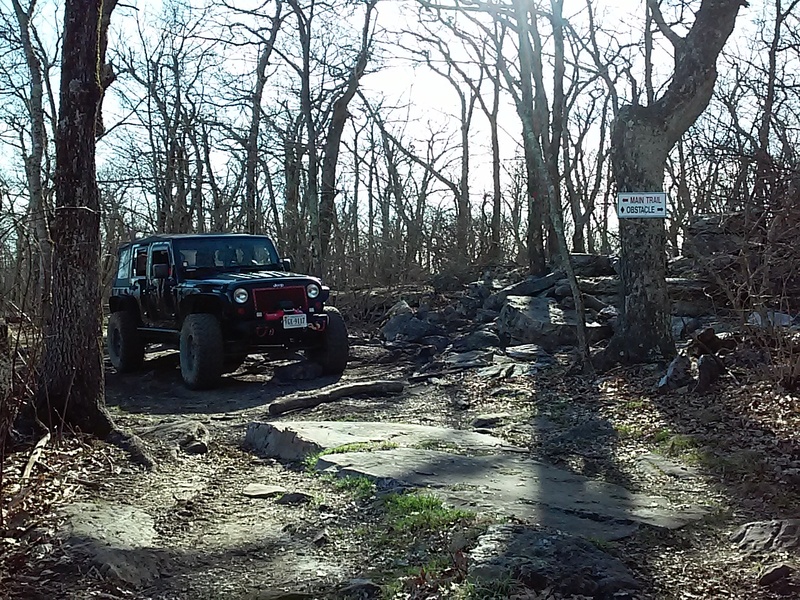 This trail is not for stock four wheel drive vehicles. 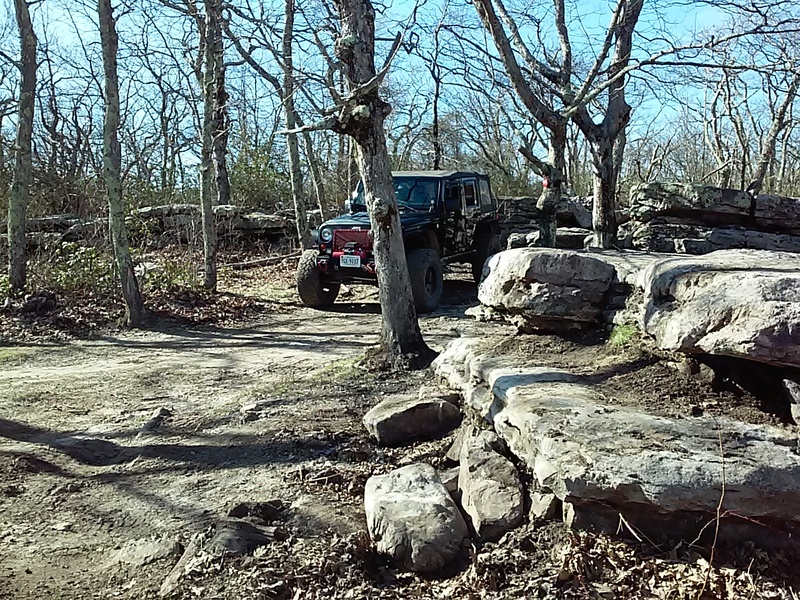 Built solely for off road enthusiasts, Potts Mountain Jeep Trail offers plenty of opportunities to find yourself upside down. Signs at obstacles offer a bypass but even they can prove to be difficult. Many obstacles defy reason and sanity. There is enough paint, parts, and gouges left in rocks to attest to the human will to attempt the nonsensical. 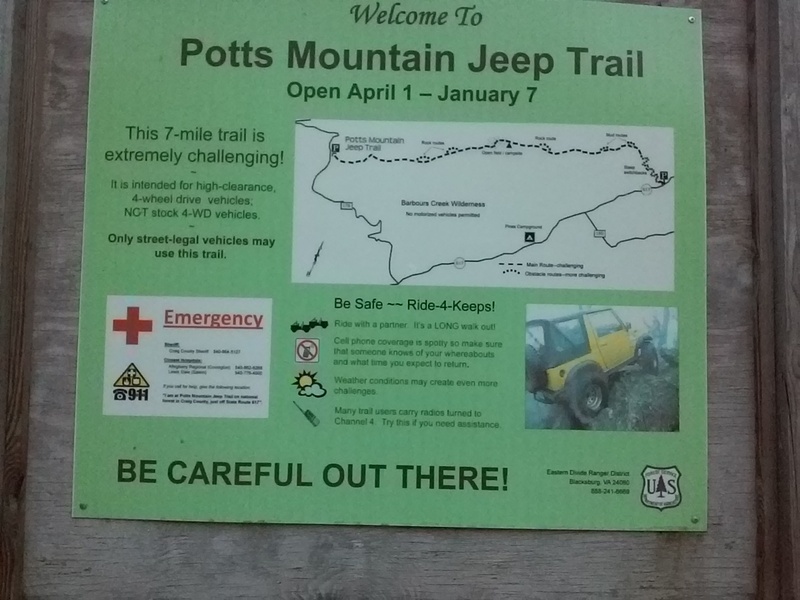 Potts Mountain Jeep Trail is very remote so plenty of gas, fire extinguisher, spotter, spare, water and common sense are necessities. You do not want to walk out. 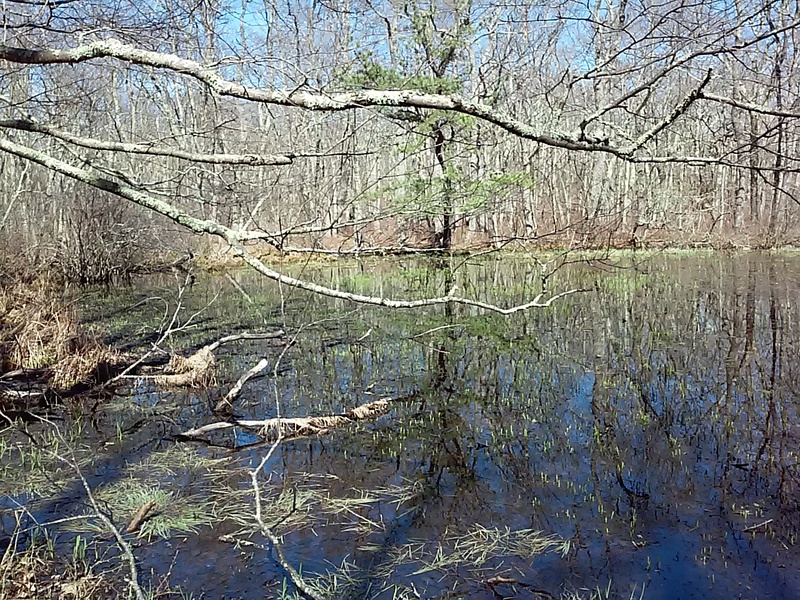 Several clearings along the trail offer nice places to stop or camp. It is not recommended to travel this trail alone. 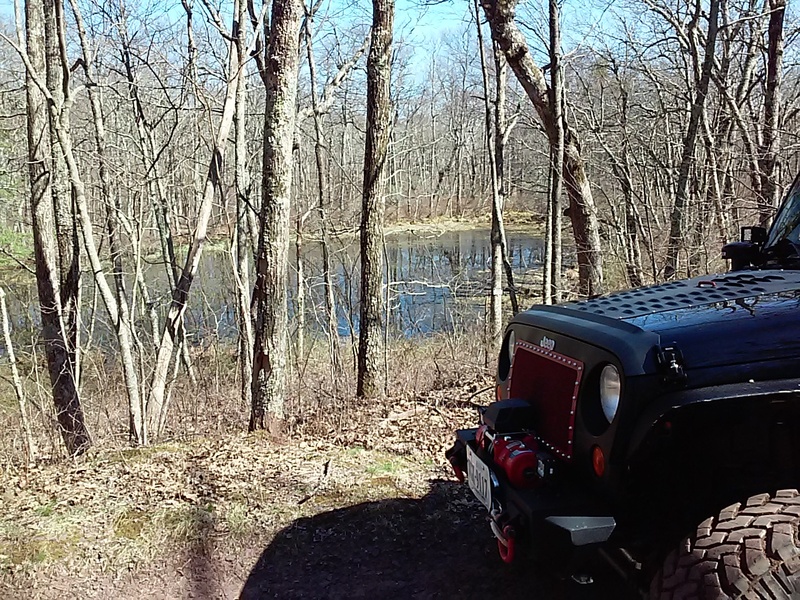 Potts Mountain Jeep Trail is very remote so plenty of gas, fire extinguisher, spotter, spare, water and common sense are necessities. You do not want to walk out. It is not recommended to travel this trail alone. Winter conditions require appropriate preparedness. Use extra caution and tell someone where your going and when you plan to return (especially in winter). 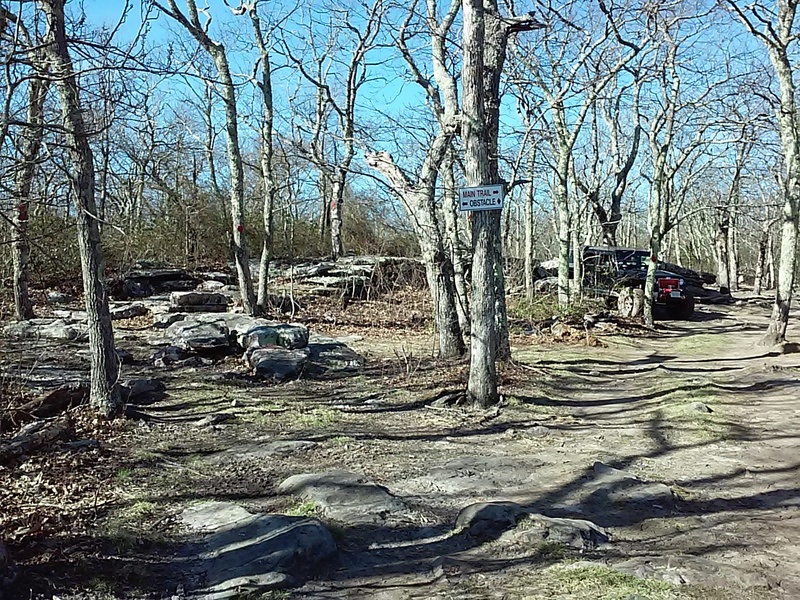 The trailhead and parking lot are located at the trail's intersection with FS 176. Stay straight. 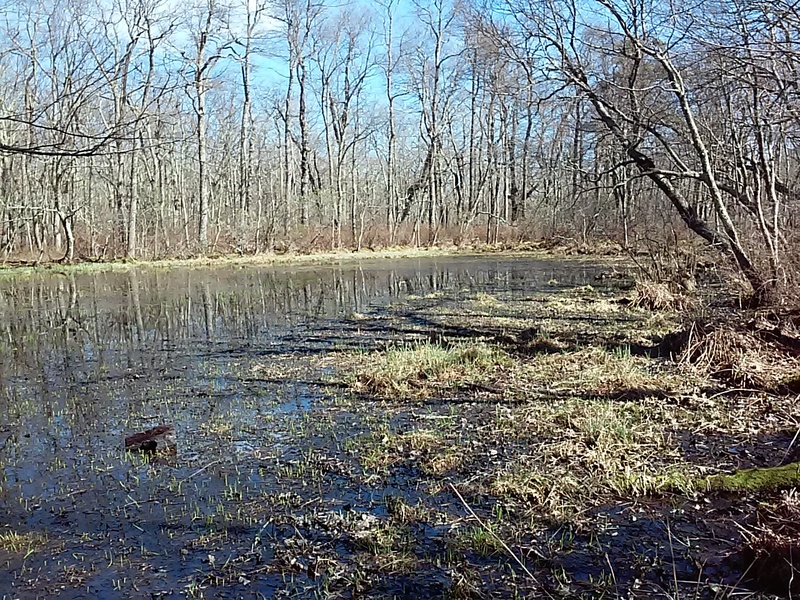 This small pond is a unique and isolated special wetlands community. Stay straight unless you want to play on rocks. Many of the obstacles defy logic. Stay straight unless you're feeling brave. There are several obstacles of varying difficulty. Stay straight. 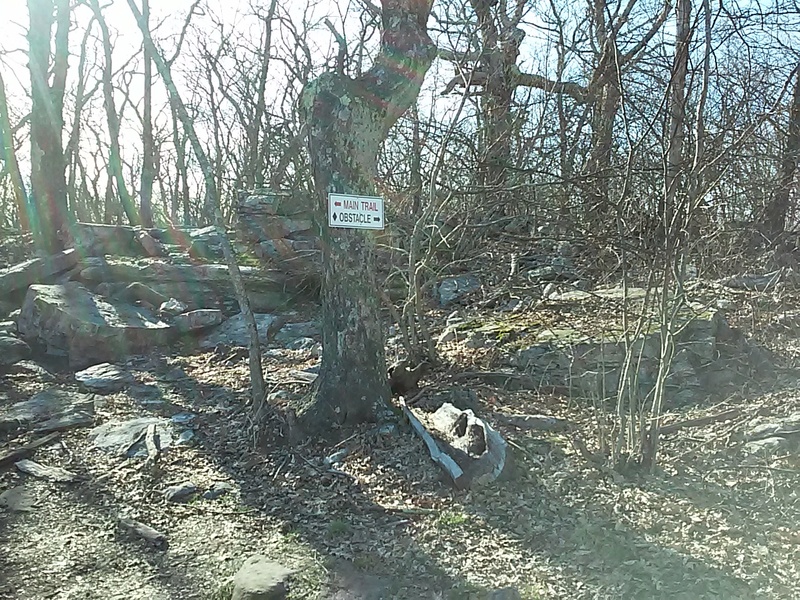 A large stone outcropping protrudes from the earth on the right. Another rocky outcropping on the left offers a magnificent view after a very short climb on foot. Stay straight. This large grassy clearing offers an excellent place to relax or camp. 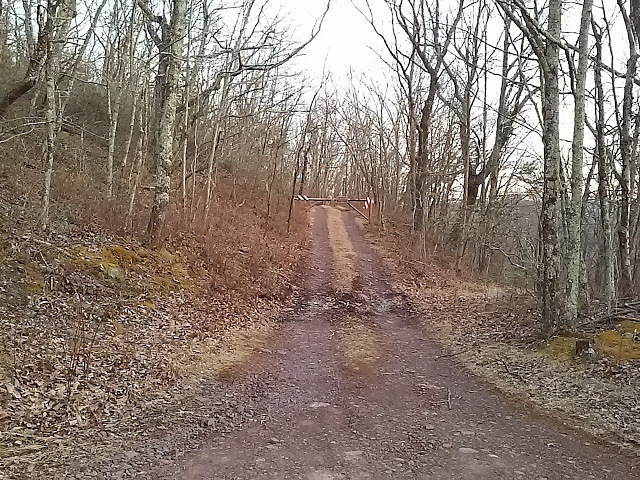 The trail ends at its intersection with Barbours Creek Road (route 617). Turning right onto Barbours Creek Road will bring you to Peaceful Valley Road (route 611). Turning left at Peaceful Valley Road will bring you to Craigs Creek Road (route 615). Turning right onto Craigs Creek Road will bring you to route 311. From Newcastle take route 311 north approximately 15 miles. At the very top of Potts Mountain turn right onto Potts Mountain Road (gravel). 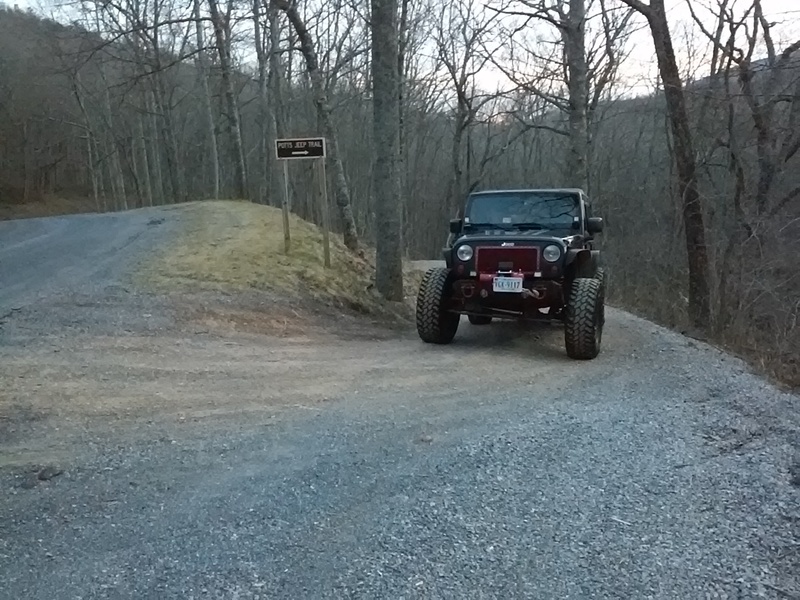 Continue down Potts Mountain Road approximately 7 miles until you reach the intersection with FS 176. 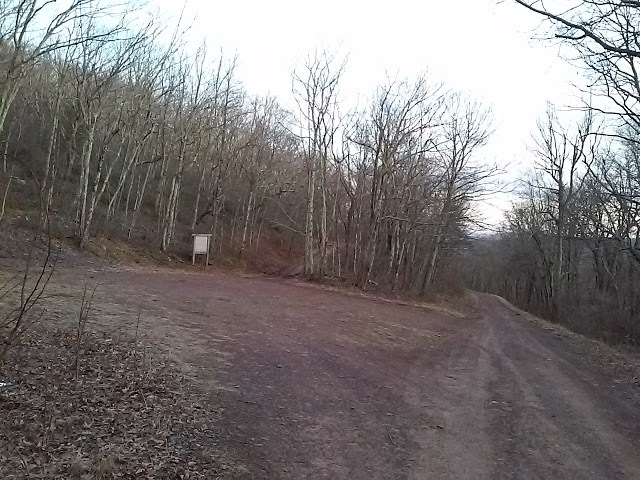 Turn right onto FS 176 and the trailhead and parking lot is immediately on your left. 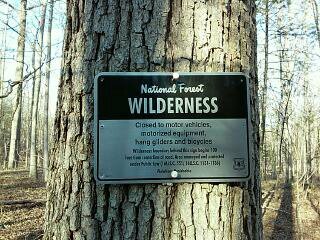 Dispersed, primitive camping is allowed throughout the National Forest. There are no services, and camping is constrained to 21 consecutive days. Waypoint 6 offers an excellent place to camp. 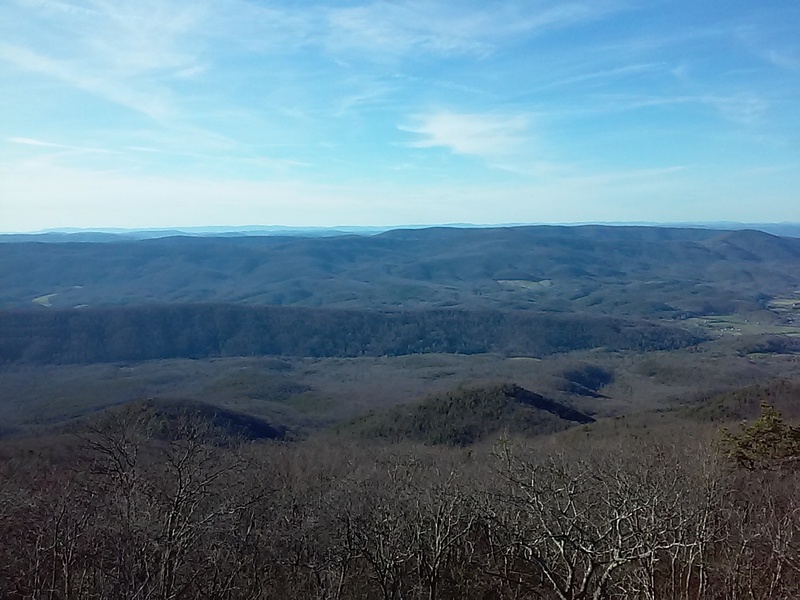 Living on top of Potts Mountain in Craig County, Virginia I am very fortunate that the area I live in has lots of National Forest land to explore. 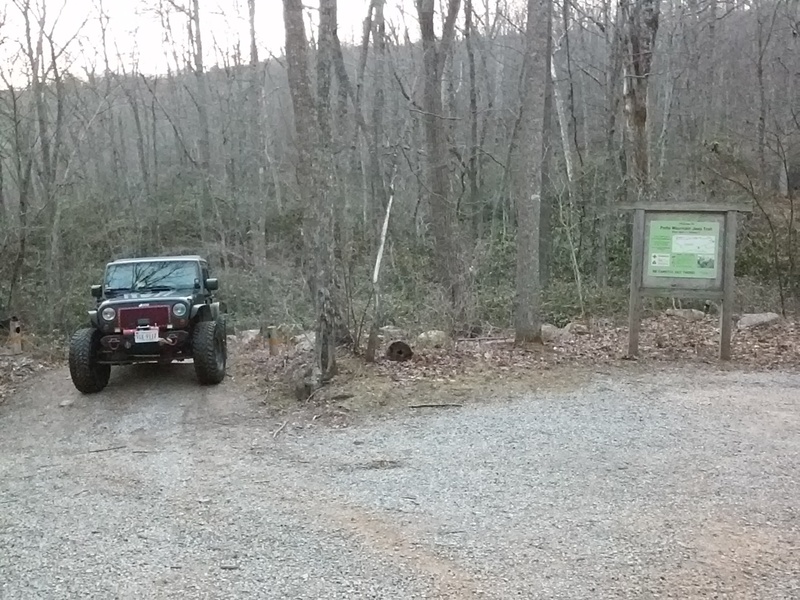 A: Kenny, according to the signs posted at / near the trailheads, "Only street-legal vehicles may use this trail." See the center (middle of three images) image at Waypoint 7, above. 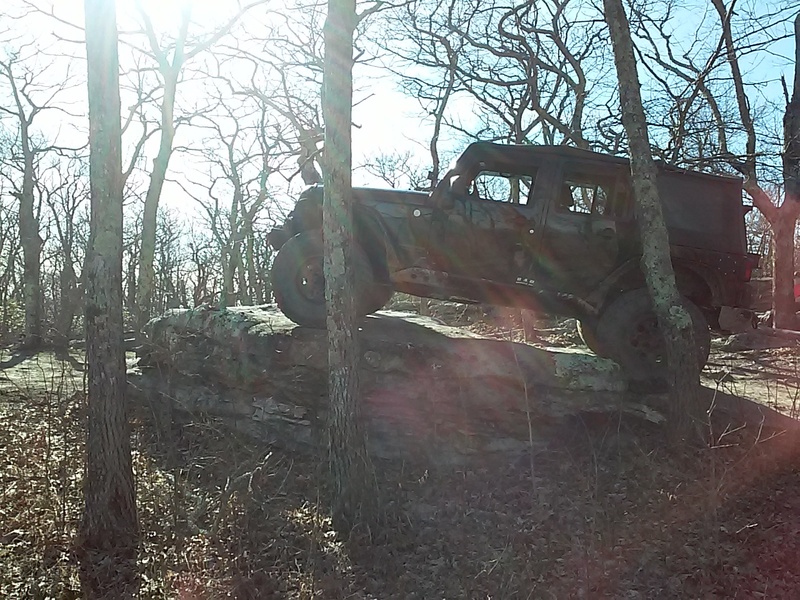 Q: Headed to this trail this weekend. Anything we should be aware of? A: Doug, Sorry for the extremely late response. I was out of comission for a while but am available again now. Glad to hear that your trip was okay. 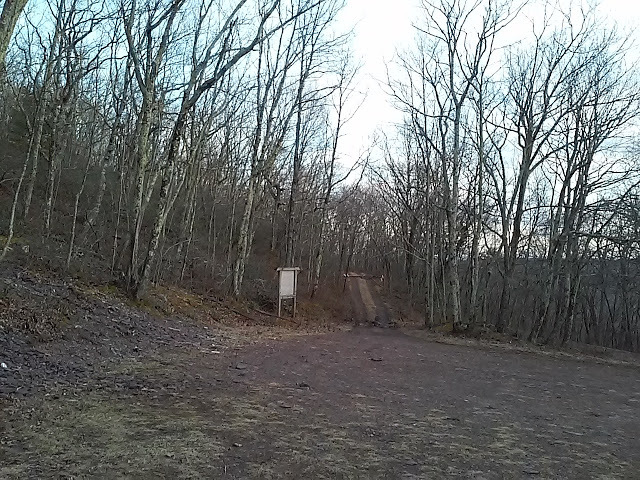 I live just down the ridge from the trail so next time you are out this way let me know and I will help out any way I can. Sincerely, Thomas Darnall. A: We did it North to South this weekend. Probably harder than other direction. The above description is definitive but takes us a full 7-8 hour to get though with land cruiser and Land Rover. Trail is in good shape. We trimmed a lot of brush, but some pinstripes are inevitable. 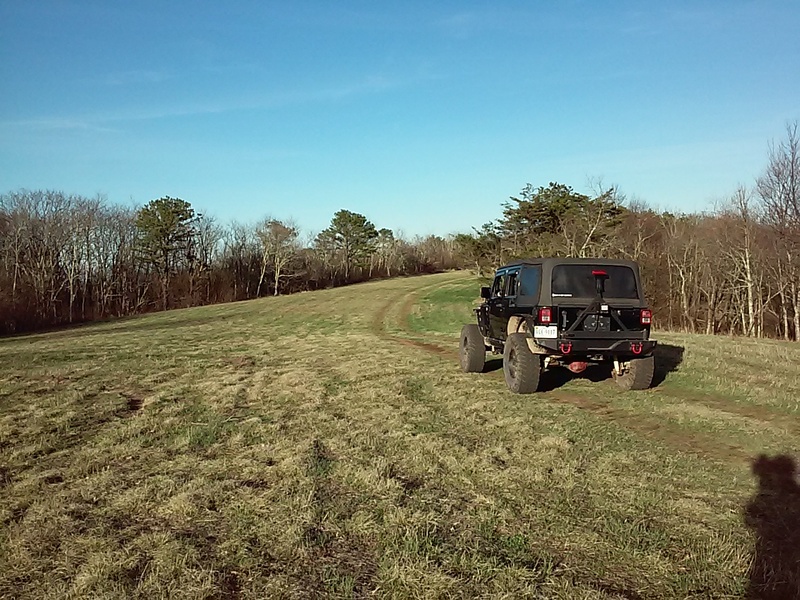 Is there a way to get to the field without going through the jeep trail. 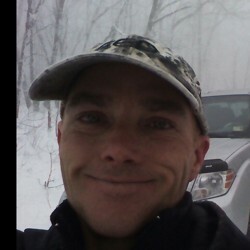 I am in a stock tundra so wouldn't be able to make it down the jeep trail. 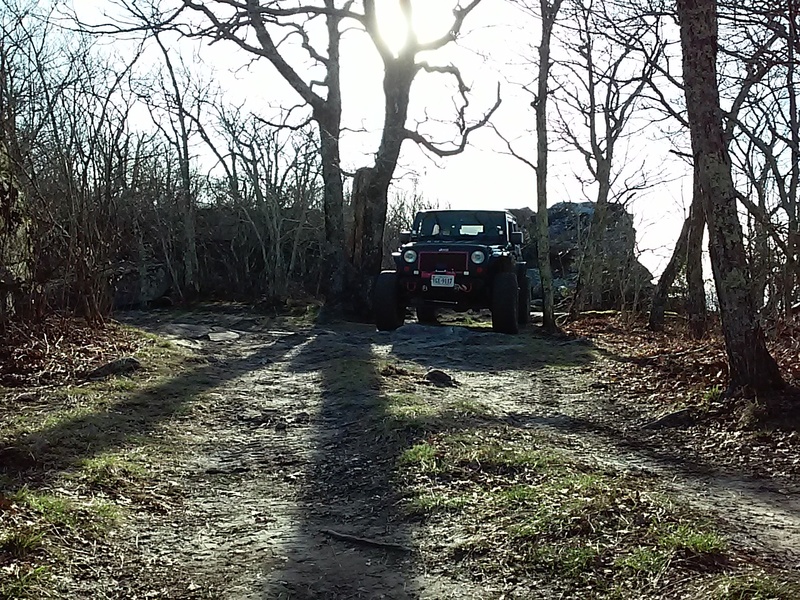 It was a fun trail. I'm stock with over 20+ years of experience. A few places were scraped, but overall it was a fun trip. Trail was full of off camber (nothing major), water crossings (several puddles as storms were moving through the day before, be-aware there is a log bridge in one, do not go alone unless you are familiar with these), narrow tight trail shifts (Jeep JKU had plenty of side clearance to navigate or change lines). Overall I'd rate it a little lower on difficulty scale, but it was a fun adventure. I'd have loved to finish the trail but we didn't have the time today. I would go again, and would recommend it. I went 2.7 miles in an hour, no major stopping or breaking. The later portion might take longer, but keep time in mind when you go if you aren't camping. There are no camping spots off the trail, it is forrest land and forbidden use by motor vehicles 100ft from centerline of trail. Keep this in mind as well. Let me know if you have any questions. Video will be uploaded later.